Now more than ever, aligning with today’s hottest health and wellness trends gives you a better chance of getting your products on retailers’ store shelves and attracting happy customers. If your company offers products that promote well–being, this is your time to shine. Now more than ever, aligning with today’s hottest health and wellness trends gives you a better chance of getting your products on retailers’ store shelves and attracting happy customers. Today’s consumers value holistic balance, vitality and rejuvenation. They’re taking a longer-term perspective on health as they shift their mindset from “What impacts my body today?” to “What might impact my body in five, 10, or 20 years?”1Deloitte, Grocery Manufacturers Association, Food Manufacturing Institute. Capitalizing on the shifting consumer food value equation. 2016. Consumers’ perception of health and wellness today also spans diverse product categories. Read on for five health and wellness trends that are influencing consumer packaged goods (CPG) and retail companies today.. Shoppers have expanded their definition of health and wellness to include mental health, such as mindfulness, positivity and relaxation.2Bhagat, Alisha. A Little Is A Lot: Health and Wellness Trends 2016. The Huffington Post. March 7, 2016. And thus, products that calm and soothe consumers are in demand. For instance, five of Amazon’s top 10 best sellers this year were adult coloring books for their playful, creative form of relaxation,3Harrison, Kate. The Adult Coloring Craze Continues And There’s No End In Sight. Forbes. February 2, 2016. and they appeal to adults for their therapeutic stress- and anxiety-reduction benefits.4Raphel, Adrienne. 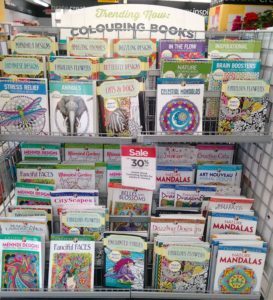 Why Adults are Buying Coloring Books (for Themselves). The New Yorker. July 12, 2015. Another popular healthy habit is keeping a gratitude journal, as these journals help users feel more optimistic and satisfied with their lives, and report less physical discomfort.5Brodwin, Erin, Jessica Orwig and Dina Spector. Here are 25 habits that psychologists have linked with happiness. Business Insider. August 4, 2016. To relax the body and mind, consumers value yoga products. The global market for yoga mats accounts for $1.06 billion with an expected compounded annual growth rate of nearly 6% between 2017 and 2022.6Global Yoga Mat Consumption Market 2016 Market Research Report. Market Research Reports. July 21, 2016. Athleisure apparel – from designer leggings to cashmere sweats – refers to athletic wear people can wear in non-athletic settings. Athleisure products have gained popularity due to the rise of fitness-conscious consumers who look at athletics as an all-around lifestyle.7Petro, Greg. Lululemon, Nike And The Rise of ‘Athleisure.’ Forbes. September 16, 2015. Young adults in particular prefer stylish athletic wear beyond the yoga mat, as research found 41% of female millennials wore sports bra in the past week vs. 21% of non-millennials.8Safdar, Khadeeja. How the ‘Bralette’ Has Upended Victoria’s Secret. The Wall Street Journal. June 29, 2016. Athleisure has even appeared on designer runways, including couture sneakers from Chanel.9Wilson, Eric. Now You Know: Just How Far Should You Take The Athleisure Trend? In Style. July 16, 2014. A growing number of U.S. consumers view exercise as a proactive way to treat illness, including emotional and stress-related issues.10Consumer Trends in Health and Wellness. Forbes. November 19, 2015. Interest in exercise has led to strong demand for health tracking wearables like mobile step counters, yet this trend extends beyond the sports equipment category. 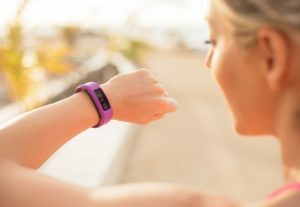 In partnership with leading fitness wearable Fitbit, Kellogg’s offered a physical activity tracking wearable for a promotion involving purchases of Special K cereal. To promote healthy lifestyle choices, pharmacy retailer Walgreens synchronizes its health tracking wearables’ data with the company’s Balance Rewards loyalty program.11Walgreens.com Experts see the wearables trend remaining strong, as IDC predicts shipments will reach 102 million units by December 2016 (and 213 million units by 2020).12Matthies, Kevin. IDC: Wearbles Shipments to Top 213 Million Units in 2020. Mobile Marketing Watch. June 17, 2016. This cutting-edge trend recognizes the value of healthy bacteria living on and within the human body, which promotes good physical and mental health. 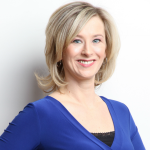 New research suggests antimicrobial and antibacterial chemicals found in common household products – including soaps, detergent, toothpaste, toys and plastics – could harm consumers’ gastrointestinal health.13Moodie, Alison. Your soap and toothpaste could be messing with your microbiome. The Guardian. July 30, 2016. Now companies are reducing the number of products containing antibacterial substances. The microbiome trend even impacts how consumers respond to food items and personalized diets, such as probiotic foods for digestive health.14Gershoni, Kobi and Alexandra V. Eberhard. How the microbiome will lead a revolution in personalized medicine and diet. TechCrunch. August 3, 2016. Clean labels help demonstrate transparency to enhance brand trust by giving shoppers such product details as whether items are minimally processed, natural, organic or free from toxic chemicals. Consumer demand for non-toxic products has grown, as shoppers are much more aware of perceived harmful chemicals and additives. In response, the amount of labelling is also increasing. The number of eco–labels alone has increased from a few dozen in 1990 to more than 400 today.15Bhagat, Alisha. A Little Is A Lot: Health and Wellness Trends 2016. The Huffington Post. March 7, 2016. For products across multiple categories, including foods, cosmetics, and baby products, experts predict clearer labeling will eventually be mandatory. For instance, food product labels will likely need to disclose how an item is grown, whether the company adds pesticides to the process and the potential impact on human health.16Consumer Trends in Health and Wellness. Forbes. November 19, 2015. These health and wellness trends mean companies have a tremendous opportunity to help consumers live the healthy lifestyle they desire. Show how your company aligns with these hot trends, and prove your products are timely and relevant to retailers and the consumers they seek to attract. 1. ↑ Deloitte, Grocery Manufacturers Association, Food Manufacturing Institute. Capitalizing on the shifting consumer food value equation. 2016. 2, 15. ↑ Bhagat, Alisha. A Little Is A Lot: Health and Wellness Trends 2016. The Huffington Post. March 7, 2016. 3. ↑ Harrison, Kate. The Adult Coloring Craze Continues And There’s No End In Sight. Forbes. February 2, 2016. 4. ↑ Raphel, Adrienne. Why Adults are Buying Coloring Books (for Themselves). The New Yorker. July 12, 2015. 5. ↑ Brodwin, Erin, Jessica Orwig and Dina Spector. Here are 25 habits that psychologists have linked with happiness. Business Insider. August 4, 2016. 6. ↑ Global Yoga Mat Consumption Market 2016 Market Research Report. Market Research Reports. July 21, 2016. 7. ↑ Petro, Greg. Lululemon, Nike And The Rise of ‘Athleisure.’ Forbes. September 16, 2015. 8. ↑ Safdar, Khadeeja. How the ‘Bralette’ Has Upended Victoria’s Secret. The Wall Street Journal. June 29, 2016. 9. ↑ Wilson, Eric. Now You Know: Just How Far Should You Take The Athleisure Trend? In Style. July 16, 2014. 10, 16. ↑ Consumer Trends in Health and Wellness. Forbes. November 19, 2015. 12. ↑ Matthies, Kevin. IDC: Wearbles Shipments to Top 213 Million Units in 2020. Mobile Marketing Watch. June 17, 2016. 13. ↑ Moodie, Alison. Your soap and toothpaste could be messing with your microbiome. The Guardian. July 30, 2016. 14. ↑ Gershoni, Kobi and Alexandra V. Eberhard. How the microbiome will lead a revolution in personalized medicine and diet. TechCrunch. August 3, 2016.